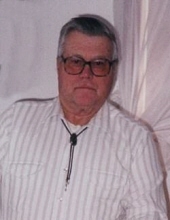 St. Albans, Vermont - James “Jim” Cushman Dean, 92, passed away peacefully at his home on January 10, 2019. Jim was born in South Attleboro, Massachusetts. For 20 years, he was a milkman in Taunton, Massachusetts. After running a dairy farm for five years in Massachusetts, the family moved to St. Albans and ran a successful dairy farm for over thirty years. Jim was a great horseman. He loved driving and showing his Belgian draft horses over the years. Jim is survived by his wife, Katie Dean. Jim was a loving father to his six children, Jimmy Dean of St. Albans, Donna Urie of Newport Center, Bill Dean of St. Albans, and Scott Dean of Swanton. Jim is predeceased by his sons, Frank and Jeffrey Dean. Jim was a caring grandfather to his twelve grandchildren and his nine great grandchildren. Jim will be remembered fondly by his grandchildren for introducing them to classic John Wayne films, the great oldies of country radio, and singing funny songs while driving around the back roads of Vermont. Calling hours will be from 1 pm to 2 pm on Tuesday, January 15, 2019, at the Heald Funeral Home, 87 South Main Street, St. Albans, Vermont. A funeral service will be held at 2 pm immediately following the calling hours at the Heald Funeral Home. Those planning an expression of sympathy are asked to consider, the Bayada Foundation, Hospice Health Care, 2517 Shelburne Road – Suite 1, Shelburne, Vermont 05482. To send Jim’s family a message of condolence or share a memory, kindly go to his on-line guest book at www.healdfuneralhome.com. To plant a tree in memory of James "Jim" Cushman Dean, please visit our Tribute Store. "Email Address" would like to share the life celebration of James "Jim" Cushman Dean. Click on the "link" to go to share a favorite memory or leave a condolence message for the family.